The site is using two themes, one child and one parent. The child theme is based on the parent and often custom to the site. 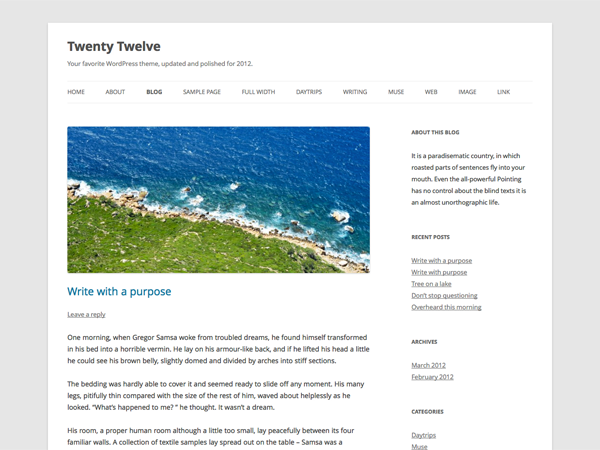 The parent theme is Twenty Twelve theme by the WordPress team . Easily add a Favicon to your site and the WordPress admin pages. Complete with upload functionality. Supports all three Favicon types (ico,png,gif). Last updated 22 January, 2019. We found 2 theme and 6 active plugins on this site. Link to this page.